How Long Does Tramadol Stay In Your System ? Who would require testing for presence of tramadol? How much time will Tramadol remain in the body after stopping to use it? Tramadol is a drug that has been approved by FDA to treat severe pain. Tramadol is a drug that is synthetic in nature and is called by its other name, Ultram, which is also its brand name. It was manufactured in 1995 and mainly used because it had the effect of immediate release. It was also modified in 2005 so that it could be used as an extended release drug. Tramadol is beneficial because of the many effects it has on the neurotransmitters. Its main action is as an agonist of the mu-opioid receptor. Due to this effect, it is able to release beta endorphin as well as enkephalins and these are able to provide the pain relief effect. This pain relief effect is accompanied by relaxation of the brain and the body, also popularly known as neurophysiological rest. This effect is able to enhance the mood of the person and also helps in reducing anxiety. The other effect of tramadol is that it will help in increasing the serotonin. It acts as an antagonist for 5-HT2C, nAChRs, M1, M3 and TRPV1 receptors. Due to its several benefits that have been mentioned here, it is a drug of choice for helping in pain relief. Other than pain relief, it is also helpful in the treatment of several other conditions. On the other hand, many of the people who are used to consuming this medicine do not want to go through with the several side effects that are caused by this drug. Some of the common side effects of tramadol are constipation, itching, nausea and similar effects. There are also several long duration effects of this drug. One of the effects is that once it has been used continuously, people feel that the effect of tramadol is gone. This is the reason due to which some people stop using tramadol. In spite of stopping those who have used it may feel that it is still causing some effects in their body and would usually prefer to know how long tramadol stays in the system even after it has been stopped. Most people who have stopped tramadol may start feeling some vague sensations and this is called as withdrawal symptoms caused by use of tramadol. If you have been using tramadol for many weeks, some or all of these symptoms may be quite difficult for you to face. If you are one such person, you can be happy with the fact that the body will detoxify and get rid of the effects of tramadol in a set time frame. Soon, it will completely be out of your body. The effects of tramadol can be felt by you till it is out completely. For us to know how long it takes for tramadol to get out of the body, we need to know about the half life of the drug. The half life elimination actually means that half of the drug has left your system. The time taken for this is crucial because once half the drug has been sent out of the body; it takes a similar period to get another half of the remaining drug in your system. This way, it takes a long time to completely be out of your body. Based on the half life of tramadol and based on the time or duration for which you have consumed the drug, it is easy for us to calculate the rime that will be taken for the drug to be completely eliminated from the body. There are several research articles that have published data showing that the half life of tramadol is about 6.3 hours. Based on this, we can calculate and come to a conclusion that the tramadol that is consumed will be present in the body for about 1.44 days after the drug has been last consumed. This is the good news for those who are used to it, but the bad news is that the metabolite that is formed when tramadol is consumed, which is O-desmethyltramadol, also known as M1 has a very long half life. The half life of M1 is 7.4 hours. So, it should be noted that for getting rid of tramadol as well as its metabolite M1, it will take about 1.7 days. The common notion is that based on the half life of tramadol and its metabolite M!, most people think that they will get rid of the drug from the body in about 40 hours or even less than this time. The truth is that many people do not have such physiology to get rid of the drug so quickly. Variations in the physiology of the body may cause the drug to take a longer time to get out of the system. Each person may have individual factors and use of other drugs, dosage of tramadol which could all pay a role in the elimination of tramadol from the body. If there are two people who are required to consume 50mg of tramadol, and they take the drug at the same time, after cessation of the treatment, one of them may be able to get rid of the drug quicker than the other person. In fact the normal time taken to get rid of the drug is considered to be 1.77 days. A person may get rid of it in less than the 1.77 days or may take exactly this time to get rid of the drug or may even take a longer time. All these are based on individual factors such as age of the person, the genetics of the person, the liver function of the individual and even the body mass or fat levels in the person’s body. Age: It is commonly thought that the half life of tramadol may be higher in those who are older. If a person consuming the drug is younger, they will be able to get rid of the drug quickly from the system. On the other hand, an older person may take a longer time to get rid of the same amount of drug from the body. This is mainly due to the decreased blood flow in the lover in older people, which increases the time needed for metabolizing the drug. Metabolic rate: The BMR, which is the basal metabolic rate of the body of a person, may also play a role in the duration for which tramadol keeps circulating in the body. Those who have a high BMR will have tramadol metabolized quickly and so it will be eliminated from the body in real quick time. On the other hand, a person who is having slower metabolism than normal will have the drug circulating in the body for a longer time. Higher metabolic rate will cause lesser fat storage in the body and this is another reason for quicker elimination of tramadol in those with high BMR. Research is still ongoing in determining the rate at which BMR affects the metabolism of tramadol. Body mass and Body fat: The body fat as well as body mass also plays a role in the duration for which tramadol stays in the body of a person. The height of the person and the weight of the person can cause tramadol to stay for different durations in the body of the person. If the body mass is higher, they will be able to get rid of tramadol in quick time. On the other hand, if the body mass is lesser, it will take a longer time to get rid of tramadol. Any person who has a lot of fat in the body will also store more tramadol in the body and this will prevent the drug from being eliminated from the body in quick time. Tramadol can attach itself to the fat deposits and so it will get eliminated slowly from the body. Food intake and water intake: If you had consumed tramadol along with food, it can lead to delay in absorption. Even a large meal can delay absorption of tramadol when compared to a smaller meal. This is because the body focuses more on metabolizing from the food that is consumed. Since there is a delay in the metabolism of tramadol consumed with food, there will also be a corresponding delay in the excretion of the drug from the system. It should be understood that the food intake does not cause a change in the half life of tramadol. On the other hand it causes a delay in the absorption of tramadol itself. The consumption of fluids on the other hand, can lead to get rid of tramadol quickly from the body. This is because increased fluid consumption will cause an increase in the urine output, which helps in getting rid of tramadol quickly from the body. pH of urine: Tramadol and its metabolites are mainly excreted through urine. The pH of the urine is the main factor that plays a role in the clearance of drugs from the body. If the urine is alkaline, then the body will be able to retain the metabolites for longer period of time. So, if the urine is acidic in nature, the metabolites of tramadol will be excreted quickly from the body. If the urine is alkaline, it will cause the tramadol to be reabsorbed into the system. So, acidic urine is the best method of getting rid of tramadol as well as its metabolites as they will not be reabsorbed into the body. Liver functions and kidney functions: Tramadol is metabolized by the liver and the enzymes that are present in it. So, any person who has impaired liver function will not be able to get rid of tramadol from the body quickly. So, in such situations, because tramadol stays in the body for a longer time, the half life of the drug could increase. So, there could be more tramadol in the blood stream in different tissues than what is normally present when the liver functions normally. Also, the kidney functions can also affect the duration for which tramadol stays in the body. A person who is suffering from poor kidney functions will have the drug in the body for longer periods of time. This is because the tramadol and its metabolites are excreted through the kidney. So, when kidney functions are impaired, it will cause tramadol to stay in the system for longer time. Genetics of the person: Variation in the genes of the individual can also cause variation in liver function. This variation in liver function can cause difference in metabolism of tramadol. The CYP2D6 is the isoenzyme that causes metabolism of tramadol and forms O-desmethyltramadol. So genetic variation in the availability of this enzyme as well as other enzymes can make a difference to the duration of elimination of tramadol. If an individual has been consuming a high dose of tramadol, it is likely to stay in the body for a longer period of time. On the other hand, a person who has been consuming a lower dose of tramadol will be able to get rid of the drug in a quicker time. A high dose of the drug will cause formation of more metabolites and will also be absorbed in the body in various tissues and this causes longer time to get rid of the drug. High doses like 300mg intake within 24 hours can cause a slow metabolism of tramadol. Higher doses of tramadol will also be metabolized slowly because the drug would have stayed in the tissues for longer periods of time and they could be deposited in fat tissue in various parts of the body and this will take a long time to come out of the system though excretion. Research has shown that 10mg/kg dose of tramadol will get accumulated in the body and stay in the body for longer time when compared to an intake of 5mg/kg body weight dose. There are also other studies that have been done which prove that an overdose of tramadol will increase the half life of the drug present in the body. The drug can have a high half life of 9.24 hours, when compared to a normal half life of about 6.3 hours in a person who consumes a normal dose. So, any person who consumes higher doses will have corresponding higher half life periods. There could be variations in the administration of tramadol to a person. The person may have difference in the frequency of intake of the drug and there could also be differences in the duration for which a person has been consuming tramadol. A person who has been using immediate release tramadol for a short period of time for an acute health condition will be able to get rid of the drug in very short time. Others who are consuming an extended release tramadol dose will only be able to get rid of the drug after a longer duration of time. So, it should be understood that the frequency of drug usage plays a smaller role when compared to the extended or immediate release tramadol issue. A person who has been using tramadol for a short duration of 2 days will have a lesser chance of tramadol staying in the body for long time. On the other hand, a person who has been using tramadol for double the duration at 4 days will be able to retain the drug in the body for a longer period of time. The regular use of the drug will cause the absorption of the drug in a steady state. This means a regular level of absorption of the drug continues till it is consumed. There are some health professionals who feel that even after the steady level of absorption has been reached, there could be some people who have higher absorption of the drug. Also, for long term users of tramadol, there will be a much higher accumulation of tramadol in the body. Also, long term users will get accommodated to the lower doses of tramadol and start taking higher doses of the drug to get the same effect. So, most of the short term users of tramadol, will be consuming only lower doses of the drug. This higher dose over longer periods of time will surely play a crucial role in retaining tramadol in the body for a longer period of time when compared to a person who is using only lower doses of the drug for a shorter duration of time. The use of other drugs along with tramadol could also play a major role in the absorption of tramadol and the duration for which tramadol stays in the body. The isoenzyme in the liver which causes metabolism of tramadol is the CYP2D6. Any other drug that is also metabolized by this isoenzyme could interfere with the absorption rate of tramadol. There are some drugs that will inhibit the function of the CYP2D6 isoenzyme. There are others that can cause the isoenzyme to act faster. These are called as the agonists. CYP2D6 inhibitors that will help to reduce the function of the enzyme are Paxil, Ritonavir, Prozac, Welbutrin and other such drugs. The drugs that will enhance the function of the isoenzymes are Rifampicin and dexamethasone. These drugs cause the immediate action of the isoenzyme so that the O-desmethyltramadol is formed as a metabolite of tramadol. There are also other isoenzymes that can metabolize tramadol and these form metabolites such as M2. Any inhibitor of these isoenzymes can also cause a reduction in the metabolization of tramadol and formation of M2. The isoenzyme CYP2B6 has inhibitor drugs such as Ticlopidine, curcumin and ThioTEPA and others. On the other hand, there are also CYP3A4 inhibitors such as Carbamazepine, Phenytoin, Phenobarbital and rifampicin. There are some inducers of CYP3A4 like Phenobarbital, Carbamazepine, modafinil and phenytoin that will help in the quicker formation of the metabolite M2 as well as in the quicker metabolisation of tramadol and quicker excretion from the body. The gastric tract is the main place where the tramadol is absorbed. The availability of tramadol in the body is at its peak after one and half hours of administration of the drug to up to about 3 hours after the drug has been consumed. The peak levels are about 75% of the drug dosage. Of this level of tramadol available in the body, the plasma proteins account for more than 20% of the dose of the drug because the plasma proteins and the tramadol is bound together. Once the Immediate release drug is taken regularly, there will be a steady rate of concentration in the body within about 2 days after the initial dose is consumed. On the other hand, it takes 4 days to achieve steady concentration when the extended release tramadol is consumed. The drug is stored in various tissues in the body and this level of storage will increase with an increase in the duration of doses consumed and also with the increase in the dose of the drug. Once the steady dose of drug is reached, it is metabolized in the liver. N-demethylation, O-demethylation, suflation and glucuronidation are the methods in which the tramadol is converted in the lover to its metabolites with the help of the isoenzymes. These isoenzymes are the ones that will help in the conversion of tramadol into various metabolites like M1, M2 and others. CYP2D6 converts tramadol to M1 or O-desmethyltramadol through the O-demethylation process. CYP2B6 as well as CYP3A4 are the enzymes that convert tramadol into other metabolites like M2, which is the N-desmethyltramadol. The tramadol that is consumed and converted to its metabolites with the help of isoenzymes are all excreted by urine. Several research studies have shed light that almost 60% of the tramadol that is consumed appears as its metabolites in urine. On the other hand, only 30% of the tramadol is present in urine in its original form. Since the tramadol has a half life of 6.3 hours and M1, which is the primary metabolite has a half life of about 7.4 hours, the tramadol and its metabolites should be excreted and eliminated from the body completely before 2 days after it has been consumed. A regular drug screening tool which is the SAMHSA-5 will not be able to detect the presence of tramadol. On the other hand, it can be detected through other panels that are more advanced. These panels are tailor made to suit the need to screen for the presence of prescription drug. The tests that can help detect presence of tramadol are saliva test, urine test, hair tests as well as blood tests. Fresh urine has to be collected for this screening test. It should be transported to the lab carefully without any contamination and it is tested by methods like mass spectrometry as well as gas chromatography. These tests will help in the identification of tramadol as well as its metabolites like M1 and M2. Tramadol can be screened in the urine within about 2 hours after its consumption. The maximum time for which tramadol and its metabolites can be screened in urine is about 40 hours. The average duration for which tramadol remains in the body is about 2 days. So, you will be able to check for its presence in urine from about 2 hours after ingestion to 40 hours after ingestion. It should also be understood that in a person who has been consuming higher doses of tramadol for a very long time will have tramadol and its metabolites in urine for double the duration than normal, which works out to about 4 days after the consumption of the last dose of tramadol. It should be understood that tramadol can also cause a positive test, though it may be false when phencyclidine is consumed. Hair testing for presence of tramadol in the system is done only to act as a supplement and confirmatory test after testing the urine. It may also be done as a standalone test at times. The hair follicles of the person have to be collected and then tested in a lab. The hair follicles that are collected have to be of a length of 3cm.If the hair is longer, it is easier to identify presence of tramadol. 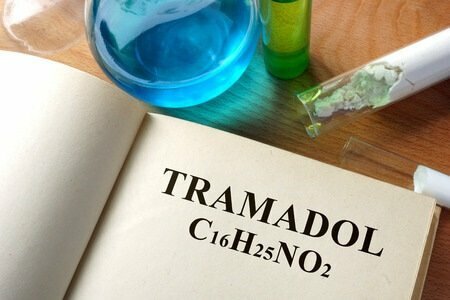 The tests that are done to identify the presence of tramadol are called as mass spectrometry or liquid chromatography. 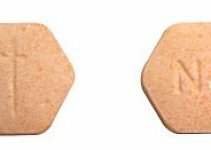 This test is the best method of identifying presence of tramadol as well as the presence of the various other forms like ODMT and NDMT that has been consumed. The advantage of using hair follicles for testing presence of tramadol is that it is highly accurate to about 90% or more. Several researchers have shown through their research that the regular use of tramadol causes the levels of tramadol as well as its metabolites like NDMT and OMDT are quite high. This level is between a range of about 0.22 to 1.18 ng/mg in hair. A person who has been given a prescription to use tramadol will have lesser concentration because they will not be given a very high dose. On the other hand, those who use it as substance abuse will have higher concentrations in their body. This method of testing is very beneficial and appealing to users because of the accuracy and also because of the long duration during which the test can be done. It is also less invasive than some other tests. Tramadol can also be identified from the saliva of a person who has been consuming it. The saliva is collected without contamination and then it is tested in a laboratory with mass spectrometry as well as gas chromatography. It will help in identification of the presence of any metabolites of tramadol or tramadol itself. It has been identified through research that at least 7.7% of tramadol can be identified in saliva. The advantage of using salivary test is that within one hour after ingestion of the drug, it can be identified in saliva through the lab test. This can be identified from one hour to even about 24 hours after consumption. The advantage of using saliva is that is an easy way to collect and test, but the disadvantage is that it does not have a long window period for testing like urine samples. Recently researchers have identified a new method called as EB or exhaled breath method. Here, there is a breathing device that collects the exhaled air and it will help in identifying the presence of tramadol or other drugs. This device is able to identify the presence of tramadol between 8 hours after ingestion to about 24 hours. Blood is the nest important fluid in the body that stores tramadol. Blood tests are highly effective to identify presence of tramadol because it has tramadol traces quicker than other body fluids. The main disadvantage of this method is the invasiveness. A person has to be poked and blood has to be collected to get this test done. Though tramadol may be present in the blood within an hour after ingestion, its traces are not identifiable in blood even less than 24 hours after it has been consumed. So, this is another disadvantage of blood tests to identify presence of tramadol. In spite of this, blood tests are used predominantly in hospitals because of the fact that it is more scientific in nature. The serum is also tested for presence of high tramadol level. In non hospital settings, hair tests and saliva tests are preferred methods of testing because they are non invasive. Unless a crime is committed or unless law requires checking of a person’s system for presence of tramadol, these test may not be performed. But, as a routine testing, some people in specific professions would need to have their system checked to see if there is tramadol. This is to prevent danger to their lives and the lives of co workers. Those in professions like truck driving, military will have their blood tested for presence of drugs, other than criminals and those in rehab to deaddict themselves. 1. Athletes: Unless an athlete wants to get rid of severe pain, they may not use this without a prescription. Even if someone uses the drug without prescription, they may be banned if they are caught. So, most of the athletes avoid using tramadol as they know the complications it can cause. 2. Criminals: Criminals are usually found to have tramadol in their system. This is because they do not mind consuming any drug to get a ‘high’. A high dose of tramadol can cause a vague feeling of intoxication and this may be the reason why criminals have used tramadol in the past. Criminals who have tramadol in their system are punished if their blood or other test results are positive for presence of tramadol. 3. Employees in certain professions: Professionals who are required to be alert in their jobs and need to have a lot of focus on the job. Some jobs like those involved in heavy machine works, pilots and even truck drivers need to be alert at all times or they will endanger the lives of other people. So, they are required by law to avoid use of drugs that cause CNS depression and lack of alertness, including tramadol. 4. Personnel in the military: The military men are subjected to testing for presence of drugs in their system, once in a while. This is done to prevent unofficial use of drugs that could compromise their combat skills. If personnel have been consuming tramadol or other drugs without any prescription, they may be delisted from their jobs. 5. Patients in rehab: Many patients in rehab may have been prescribed drugs like tramadol to help them overcome pain and other health conditions. Since the patients in rehab are trying to get rid of their addiction to drugs, tramadol is not prescribed usually to patients. In spite of this, some patients may be using this drug and so patients are subject to test for presence of tramadol and other drugs in their blood. If they are identified to be using any drug, including tramadol, they will have to undergo rehab for a longer period of time. Those who have been using tramadol and have become used to the drug want to get rid of the habit. Also, they may want to know how long this drug will remain in their system. Some of the methods in which the tramadol can be eliminated from the body in quick time are listed here. 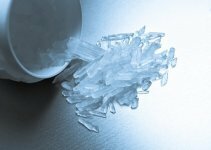 Every person who is addicted and are using these methods should consult their physician before implementing these methods. 1. Stopping to use the drug: This is the simplest method that can be followed. It is also the first method to be tried. You need to completely stop using tramadol to get rid of the drug from your body. The quicker you stop using the drug, the earlier you will be able to get rid of it from your body. 2. Get rid of fat deposits: Fat deposits in the body will start storing the drug in your system for longer time. If you are able to burn fat cells and reduce fat in the body, you will be able to get rid of tramadol in quick time. Getting rid of fat will quickly detoxify your body. 3. Improve hydration to your body: Tramadol that is consumed by you will be metabolized in the liver. Then, it is eliminated by urine after it is processed in kidney. If you consume a lot of water, you will be able to improve your urine output and this will help in getting rid of a lot of tramadol and its metabolites form the body. So, keeping yourself hydrated with water and other fluids is the key to getting rid of tramadol form your body. 4. Improve urine acidity: Acidic urine will help to get rid of tramadol quickly from the body. If the urine is alkaline, it can cause the tramadol to be reabsorbed into the body. So, use of foods like meat, cranberries, grains and other foods will improve acidity of urine. 5. Charcoal that is activated: Activated charcoal is one of the best methods of getting rid of the remaining tramadol from your body. It is a good and effective method of overcoming withdrawal symptoms and overcoming depression. This charcoal will attach itself to the toxins that are present in your body and get rid of it quickly. Even if you have completely stopped using tramadol, it may remain for some time in your body and you can use the various methods mentioned here to get rid of it quickly. Tell us through your comments about how successful you were in using these methods. Were you able to get rid of tramadol in quick time or did it take a longer time? You can inform about your age, dose you have been consuming and other aspects so that other people can learn from your experience. You should note that tramadol will be out of your body completely in about 1.5 days. Even the metabolites of tramadol will be out of the system by two days. If you have a lot of fat tissue or have other risk factors that may retain the drug in your body for longer time, you can use a protocol for detoxifying your body.